The WRP campaign against the US SWP, claiming they were all CIA agents was designed to cover up for their almost identical capitulation to bourgeois nationalism, included Ayatollah Khomeini in Iran. This article by Bill Van Auken, who is one of the better SEP theoreticians, was written back in January 1998. He makes many correct points against “Pabloism” and is entirely right to point to the political collapse of the USFI to petty bourgeois radicalism and Castroism, although we would put its origins back in the 1940s and include Gerry Healy in that degeneration back then. But it reveals its own ideological backwardness. Note the contemptuous rejection of reality in the quote extracted at the bottom. What are “so-called facts”? The things mentioned are simply facts. And “circumstances” gets those contemptuous quotation marks as if real Marxists never bothered with these things which really do “excluded the conscious struggle of Trotskyists to mobilize the working class independently on its own socialist and internationalist program” not least because we are all agreed that real Trotskyism did not exist in Cuba. And what of the devastating charge that a workers’ state, albeit deformed, could be brought into being without a mass movement of the working class with soviets/ workers’ councils led by the revolutionary party because we were all agreed it had happened in Eastern Europe after WWII, weren’t we? If not Sy Landy and the League for the Revolutionary Party was right and these remained capitalist states all along? And Yugoslavia, Albania, China, Vietnam, North Korea, Laos and Cambodia were never deformed workers’ states either as their initiation had a big measure of popular support, unlike unpopular imposition by the Red Army in Poland, East Germany and the rest? Well, the author is stumped about all that so just puts a question mark over it all. Clearly that poor man just dosen’t know what to make of that unsatisfactory “conditional and somewhat makeshift definition”. So what is the correct definition? Sy Landy’s or that Stalinist one, “actually existing socialism”? This is the extract that rubbishes empirical observations, as Cliff Slaughter did back in the early 1960s which Joseph Hansen so hilariously demolished in Cuba, the Acid Test. However the later capitulation to Castroism is also clearly contained in the piece when he ridiculously postulated Castro was just about to break from Stalinism and initiation workers’ democracy, which never came, of course. In that the SLL and Gerry Healy was correct. 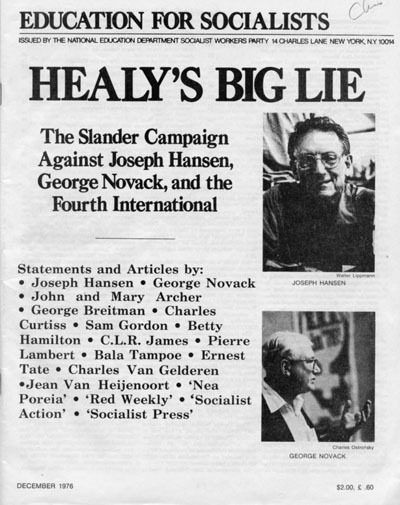 “In combating this revisionist attack on Marxism, the SLL traced the dispute over Cuba methodological questions. 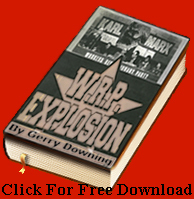 It demonstrated that the SWP was engaged in what Trotsky had described as the “worshipping of the accomplished fact,” that is, adapting themselves to the so-called reality determined by the existing social structure, the existing leaderships in the working class and the bourgeois forms of consciousness prevailing among the broad masses of workers and oppressed. All of these were accepted as objective, determining factors, entirely separated from the conscious struggle of the revolutionary proletarian party. And finally how could you assess Cuba without mentioning its world beating health and education system and making some explanation of why it existed and what that meant? « Fidel Castro is Dead, defend the Cuban Workers’ State! I have outlined my analysis, including examining Wohlforth, Robertson and Slaughter, a few years back. I’ll dig it out for you. These comments seem very muddled. An assessment of the Cuban experience might have some merit, but we do not get that. Instead there are some polemical asides motivated by lingering bitterness towards G Healy and transferred wholesale to the current ICFI. I am glad I did not go through the Healy mill, although my time in the USFI in the 60’s was not much more edifying. Cuba we were told was a “workers state lacking as yet the organs of proletarian democracy”. Still lacking. One could consider the possibility of a workers movement taking power led by a something other than a revolutionary party but matters cannot rest there. Not for decades, unless your perspective is one of workers state in a single country. Not quite proletarian internationalism! In the USFI at the time we thought we were Trotskyists but were really more like Guevarists, complete with support for guerrillaist adventures. You appear to be defending Hansen over Cuba and also over the ICFI attack on him over security. If that was your purpose why not respond to David North’s open letter to Suzi Weissman. It does not appear that she is going to respond and you seem ready to step into the breach. This is the sort of cavalier attitude that I think SF was responding to. It flatly contradicts the ICFI claim that China was a workers state for decades! I’d be interested in how you justify this contradiction. [Note that the older ICFI position was that Cuba was not a workers state of any kind because the revolution was not led by any kind of working class tendency – not even Stalinist. The claim has now drifted from Stalinist to “revolutionary party,” despite the obvious contradictions. [I recall asking the editor of the WL party newspaper in 1971 how “we” explained China. Lucy St. John said a few words about the semi-proletarian character of the Chinese peasantry, referred me to Wohlforth’s essay at the same time as discouraging even considering the matter, the reason being that theoretical problems often aren’t solved until there’s pressing necessity. Talk about pragmatism!